I am hardly squeamish. I am a champion diaper changer and I can clean up cat yak with minimal gagging. I can move snails out of harm’s way and admire earth worms with the best of them. But for some reason, loose teeth permeate my tough-mom exterior. The sound they make when they wiggle turns my stomach. I find the hole they leave in the gum when they finally do come out totally revolting. I want no part of them. And for some reason, we’re on a run at my house – three out in one week. 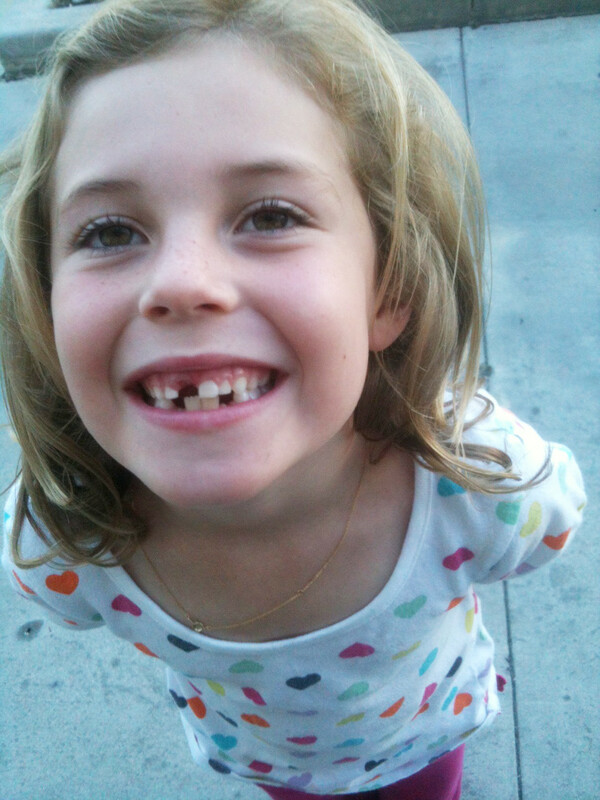 The Tooth Fairy actually came back-to-back nights. (As an aside, our first tooth ever lost came out on Christmas Eve last year, so the Fairy and Santa passed in the hall…) I’m hoping this is it for awhile, for my own sake and for Emma’s, since I’m not sure how she’ll eat if she loses even one more – and I don’t think I’ll even want to!